Certified Optimal Thinking Trainer Program. 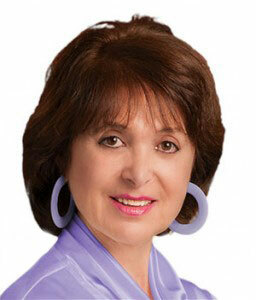 Rosalene Glickman, Ph.D., creator and author of Optimal Thinking, developed this personal and professional optimization program based on 27 years of research. This program puts into practice information from her revolutionary international best-selling book Optimal Thinking: How to Be Your Best Self and her Optimal Thinking programs, seminars, and technologies. The program provides participants with a road map to best develop their optimization competency, and live life to the fullest. You learn how to present the full-day Optimal Thinking: The Motivator of Peak Performance seminar — and empower others to consistently make optimal choices in their personal life and career. You also learn how to conduct a 90-minute follow up session for Optimal Thinking Assessment participants. Certified Trainers can also sell and distribute the entire line of Optimal Thinking seminars, products and services. This three-month comprehensive program is available to individuals and organizations throughout the world either onsite, face to face, or via web conferences. Divided into two parts, the program optimizes self-awareness, personal power, life skills and business solutions. You obtain specific skills to maximize your success by meeting our standards and objectives and utilizing our optimization road maps within an Optimal Thinking training business. You will remain associated with our organization for on-going support, career optimization, and training materials. make the most of every moment and STOP yourself and others from settling for second best! You will experience a journey of personal discovery, transformation and optimization. Although it is unrealistic to expect to be your best and think optimally all of the time (because you’re human and get off track), it is in your best interest to use Optimal Thinking as often as possible to optimize success. Initially, you learn how to gain instant access to your best self in any situation. You also learn three simple techniques to monitor your use of Optimal Thinking, and the key to employing it consistently. We will then explore core beliefs (conscious and unconscious) that inhibit you from thinking optimally, accessing the full power of your mind, and enjoying the best of life. When you overcome self-limiting beliefs and behaviors, you can explore new exciting options, make decisions in your best interest and achieve the best possible results. You will accept and surrender what is out of your control, and optimize what is within your control. Powerful exercises are provided to identify and resolve unfinished projects, relationships, financial issues and anything that compromises personal power and career success. Having completed the personal optimization process, you become fully established in the present. You are then able to make choices that serve your best interest. You can fully explore and identify your ultimate life purpose and create a SUPREME plan that is in your best interest. By aligning all aspects of yourself with this purpose, you create your optimal road map and live your best life. You acquire procedures, tools and techniques to empower others to experience their own optimization process. Using the powerful Certified Optimal Thinking Trainer strategies and your fellow participants as practice clients, you learn the processes, skills and distinctions of an Optimal Thinking Trainer. Upon successful completion of the program, you can develop a business that inspires superlative achievement, maintains healthful boundaries and produces optimal results. 10 three-hour sessions are attended via the internet by all program participants. During this interactive program, you learn how to employ Optimal Thinking in every circumstance. You gain the skills to optimize suboptimal thoughts, feelings and behaviors in seminar and consulting formats. You experience continuity in the optimization process — in your communications with yourself and others. You will also learn about the entire range of Optimal Thinking seminars, products and services. Time required: 10 half days via web conferences. Two regularly scheduled 60-minute webinars each month, led by Dr. Glickman. Time required: Two hours monthly for three months (six hours). Individual follow-up assignments coincide with the two webinars each month. Time required: One hour weekly for three months (12 hours). Personal consultation with Dr. Glickman. Time required: One-hour sessions (1 hour). The three-month Certified Optimal Thinking Trainer program offers training and experiential exercises within a schedule that gives you plenty of time for your daily activities. The opportunity to join additional Optimal Thinking training programs. Bi-weekly web conferences are held Thursday evenings, 6:15 pm PST, 9:15 pm EST. Coaching calls are scheduled individually with each participant. Participants who successfully complete the entire program will be eligible for their certification exam on December 5, 2019. The tuition for the August 12, 2019 Certified Optimal Thinking Trainer Program is $6000. Only a select number of applicants are approved for certification.To secure your place in the next program, you must submit a Confidential Application Form and your financial commitment while enrollment is available. This tuition covers actual training only. Long distance telephone charges are not included. Cancellations will be accepted four days prior to the beginning of the course. The nonrefundable portion of the Application Fee is $300.00. Students canceling after the cutoff period will be liable for the entire tuition fee. Please note that this Certification Training Program is not an in-house corporate train-the-trainer program. Please contact us if your company is interested in an in-house Optimal Thinking Certified Trainer license.